For over 60 years, Troy-Metro Agency has been providing outstanding insurance products and service to the Metro Detroit area. Established in 1951 in downtown Detroit, our first office was located in the Guardian Building on Griswold Ave. 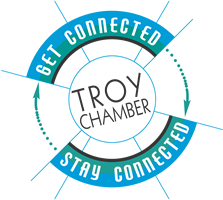 In 1969, we relocated to Troy, where we remain to this day. Richard Ehlert was the agency's owner until 1996 when his son, Max, took ownership of the business. Max and his wife have lived in Troy for over 25 years. Max's oldest son, Erich, started working at the agency part-time at the age of 17 and joined full-time after he completed his degree at Oakland University. His other son, Grant, played hockey at Adrian College and joined the agency full-time after graduation. As an independent insurance agency, we work with a variety of companies, which allows us to find you the best fit and most competitive rate. At Troy-Metro Agency, we have always taken pride in providing quality service to our clients. During business hours, you will always get a live person on the phone without having to go through an 800 number and several prompts. We also have a claims emergency number, which will allow you to speak with an agent after business hours in the event of a serious incident. Our goal is to build relationships with our customers and create lifetime clients. You, your family, and your property are your biggest investments and we will make sure they are properly protected. Contact us today and see why we have been the choice of our community’s citizens since 1951. We are located in Troy, Michigan.